Computer Lab Tech: Minimum 10+2 + one year Diploma in computer science. Knowledge of Hardware peripheral and Networking. How to apply: Online Applications should reach before 05 Nov. 2018. 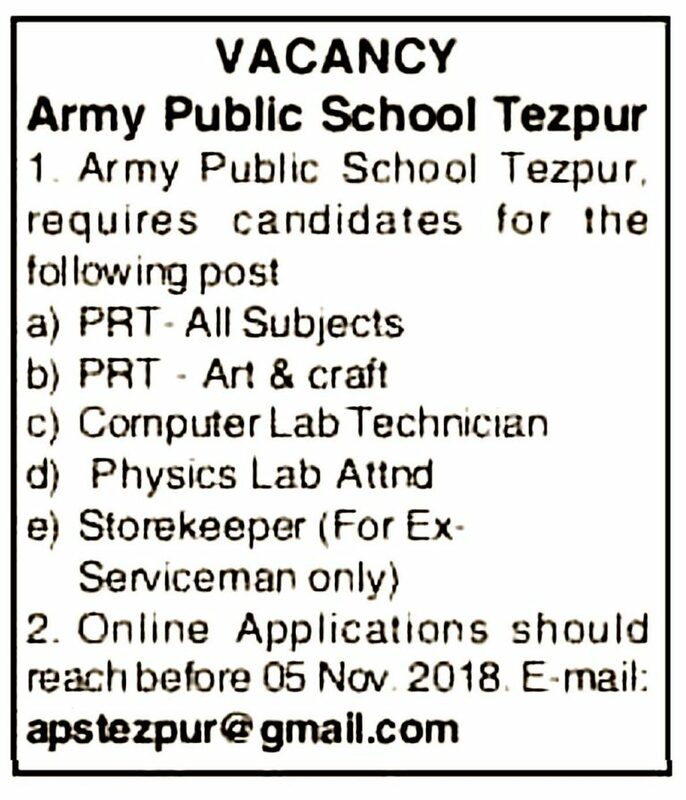 E-mail: apstezpur@gmail.com .